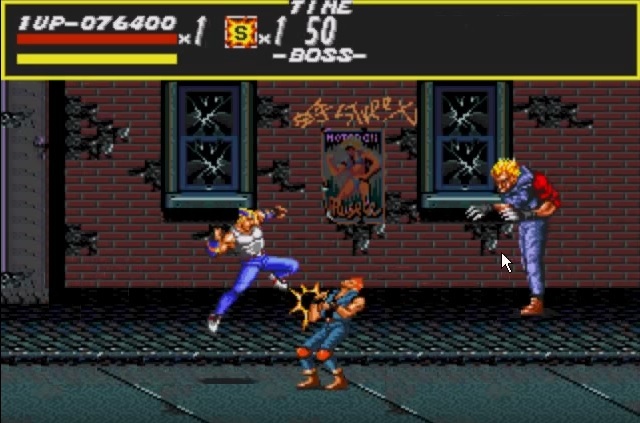 Today, we’re going to take a look back at side scrolling beat-em up classic, Streets of Rage. 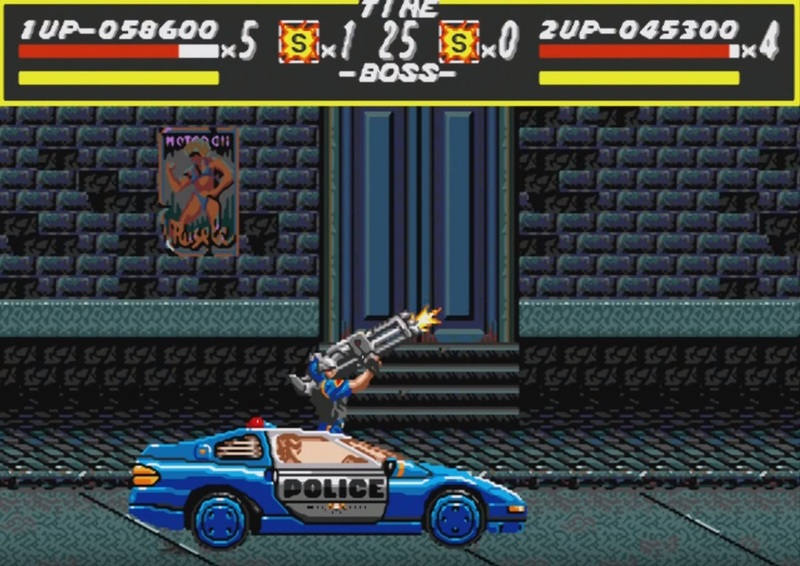 Right from the get go, the player is sucked in as 8-bit music gets the adrenaline going and that’s before you even get to pick your character. In Streets of Rage, you’re given the choice of 3 characters. Adam Hunter the slowest but strongest character, Axel Stone the all rounder of the group and Blaze Fielding the fastest character, who is also the weakest member of the group. After selecting your character you begin your quest to rid the streets of the evil Mr. X and his crime syndicate. Streets of Rage is not too different from SEGA’s Golden Axe, (which I also loved and will get to at a later date) considering you pick one of three characters and it’s a side scroller. Throughout the game you traverse 8 different stages, each with their own end boss. The only exception being level 7 where you scale the side of a building on an elevator in lieu of a boss. I’m only going to talk about my two favourite bosses, otherwise we’ll be here all day. The first is the boss of Level 2, a lanky menace with razor fingers named Souther (as a child I referred to him as Freddy Kruger, which I’m sure you can understand). He stalks you on screen until he unleashes his devastating razor slash. Your jump kick ability is completely taken out of play as using this causes him to launch a rage attack. This necessitates a strategy change for the first time in the game. Level 5’s bosses, The Blaze Clones are in my eyes the most difficult bosses in the game. Their acrobatic skills make them extremely difficult to hit. This lead to many a smashed joy pad and hurt feelings in my youth. If you’re finding the main game too difficult you can simply call upon your back up. This is a special attack where you unleash a rocket launcher and a ring of fire engulfs the screen. This was replaced with a special move in the later sequels that I was none too happy about. If you were lucky enough to have a second controller and somebody to play with. Player 2 has the far cooler rain of bullets, this takes out everybody on screen. This was one feature I loved, taking advantage of the game’s local multiplayer by grabbing a buddy and bringing the fight to crime syndicate. You can use a barrage of double team moves to complete levels with ease. My favourite thing about this was waiting until the end off the level, then getting a sneaky kick into your partner before the screen fades to black. After powering through the extremely satisfying campaign to reach Mr. X, you have the chance to unlock one of two endings. The first can be accessed simply by choosing “No” when faced with the offer of joining the crime syndicate. You then have to defeat Mr.X. This ending depicts the city returning to its once peaceful ways. A calming track plays over each scene as our heroes are left to watch the sun set. Watching this makes you feel like a true hero. Ending number 2 on the other hand is only attainable in 2 player mode. When given the choice to join the syndicate, if one player picks “Yes” (usually me), then the players fight to the death with the sole survivor taking on Mr.X. This ending is my favourite, with the survivor ascending the throne and filling the void of Mr. X. This leaves you feeling like an all powerful badass. While this game is almost 25 years old, it is still readily available today on Steam for Windows PC, Microsoft’s Xbox 360, Sony’s Playstation 3 as well as Nintendo’s Virtual Console for the WII and 3DS. This is a short but sweet classic that all gamers should play. 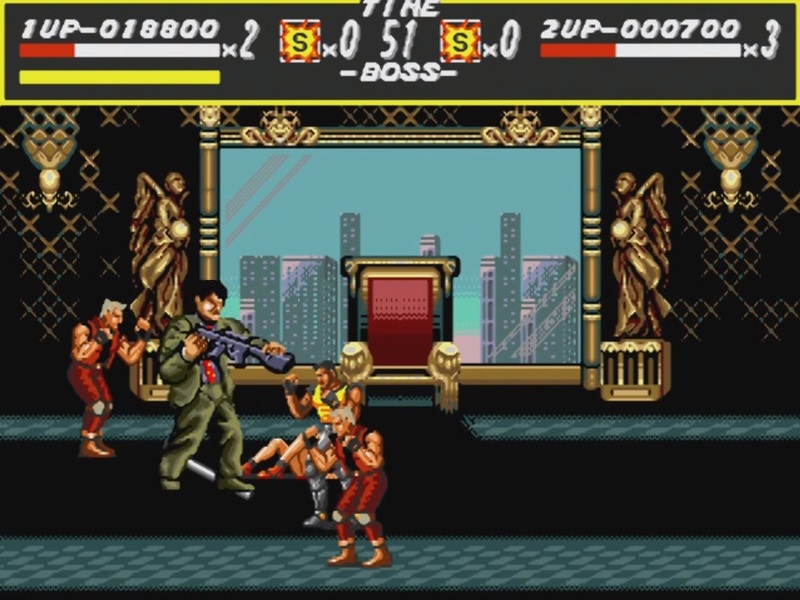 Streets of Rage spawned two sequels, a comic series and remains available even to this day. Its easy to see why this game has stood the test of time, and I hope you can see why it’s one of my personal all time favourite games.